I’d been using Pinterest well before then, and still do today, to save everything from travel tips and clothes to recipes for healthy eating and photography. I even have a board dedicated to keeping tabs on what different family members might like for a Christmas gift. The site is my saving grace. 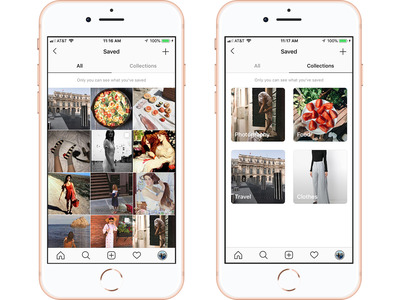 So ever since Instagram waded into the “pinning” waters last year, adding a Pinterest-like way for users to save and organise content (dubbed Instagram Collections,) I’ve been sceptical that it could live up to one of the pioneers of the digital bulletin board. Taking into account that Pinterest has historically been known for curation and Instagram for its photo-sharing and social aspect, I compared the two and focused on two big points: how I was able to save and organise posts on both platforms and the quality of content curation on each app. I concluded that both have their respective purposes, depending on what you’re using them for. 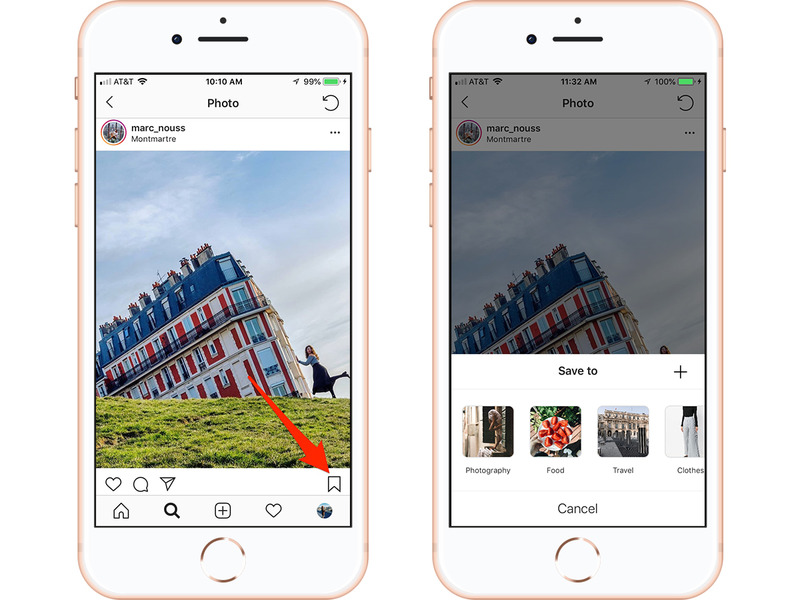 Just in case you’ve never tried either, here’s a quick rundown on how to save posts in each app. On Instagram, there’s a tiny bookmark icon to the bottom right of every post. Just click on the bookmark to add the photo to your saved collection. If you want to save it to a particular collection, hold down the icon and you’ll have the option to select the “board” you want. And for the record, when you bookmark a post the owner will not be notified, according to The Verge. You can find all your saved posts and collections on your profile under the bookmark icon to the far right, next to the “tagged posts” button. This is the layout you’ll see when you click into it. 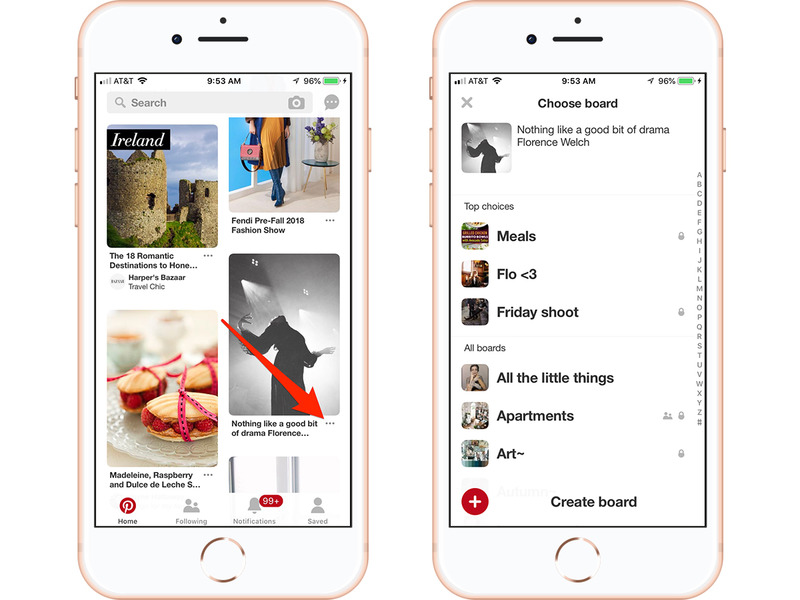 In the Pinterest app, look for a trio of grey dots below posts when you’re scrolling. An options panel will pop up when you click on it. Hit save, and a list of boards will appear. Click which one you want, and that’s it. It will take you back to where you were. Right off the bat, the private nature of Instagram Collections is appealing. With Instagram’s bookmarking feature, there’s a nice peace of mind that no one will see what you save. Your followers can’t even see the bookmark icon if they click into your profile and vice versa. For example, I went to my coworker Kaylee Fagan’s profile and couldn’t see a bookmark icon. 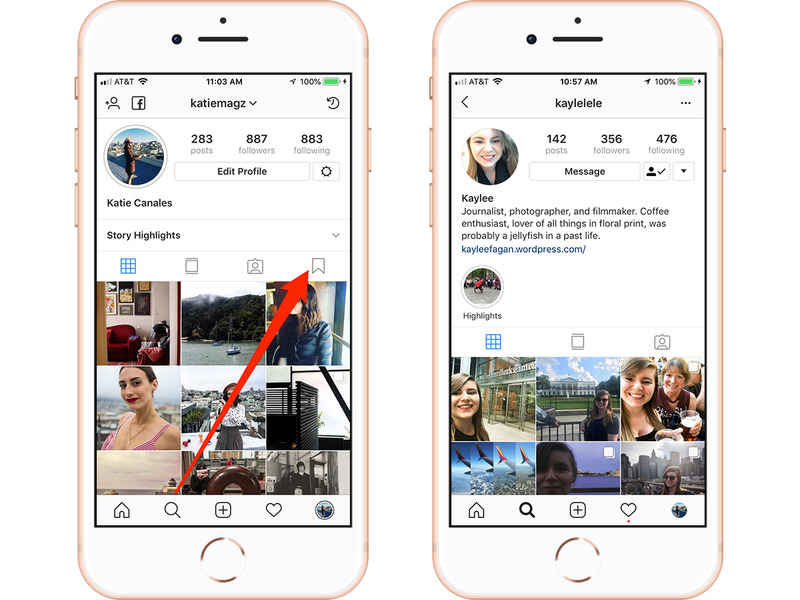 Saving and organising posts in Instagram is for your eyes only. But even when I make a Pinterest board secret, I’m still skittish about it somehow being visible to my social media followers, most of which are Facebook friends since my account is synced to the social media site. Instagram Collections takes that paranoia out of the equation. Scrolling through your Pinterest homepage on a desktop is so much better than doing so on the app. Pinterest/Business InsiderThe two-column homepage display on the Pinterest app kills me. Pinterest’s five-to-six column display on the desktop is one of its best characteristics. So when that’s condensed into a two-column mobile display, it’s not as great. For that reason, I find that I gravitate toward Pinterest more when I’m on a desktop and Instagram when I’m on mobile. This is where the two platforms really differ. 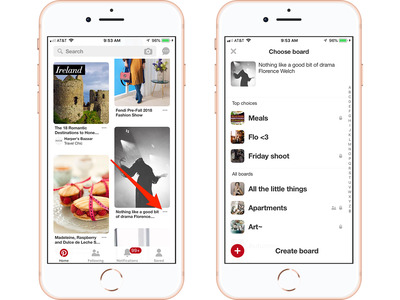 Pinterest is a more intentional, active way of skimming content. 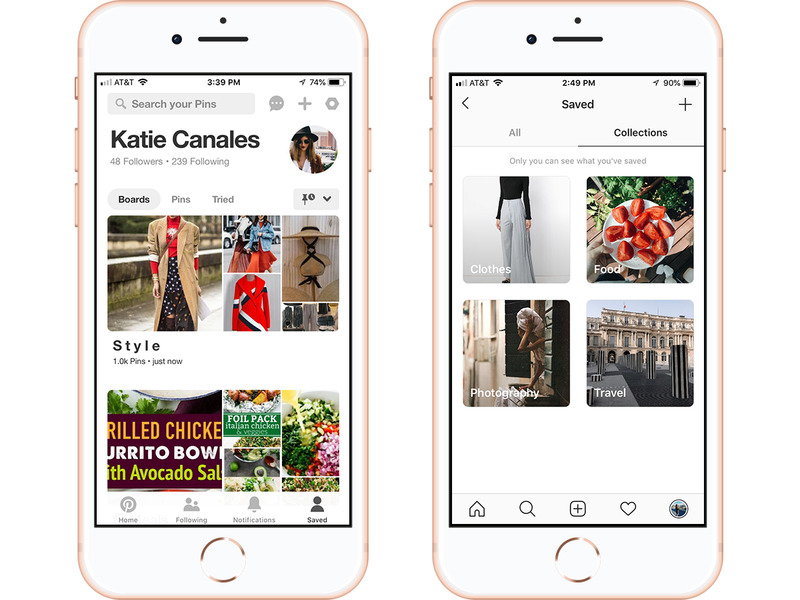 You don’t get on Pinterest to necessarily socialise with others – you open the platform to search, find and save inspiration for different areas of your life. When you approach a digital task that head-on, you’re more likely to do it on a desktop. Using Instagram Collections and bookmarking is more happenstance. It’s a good way to save things as you’re already habitually flipping through the app and is a good alternative to screenshooting something you come across. As far as actively seeking out curated content on either platform goes, Pinterest wins. 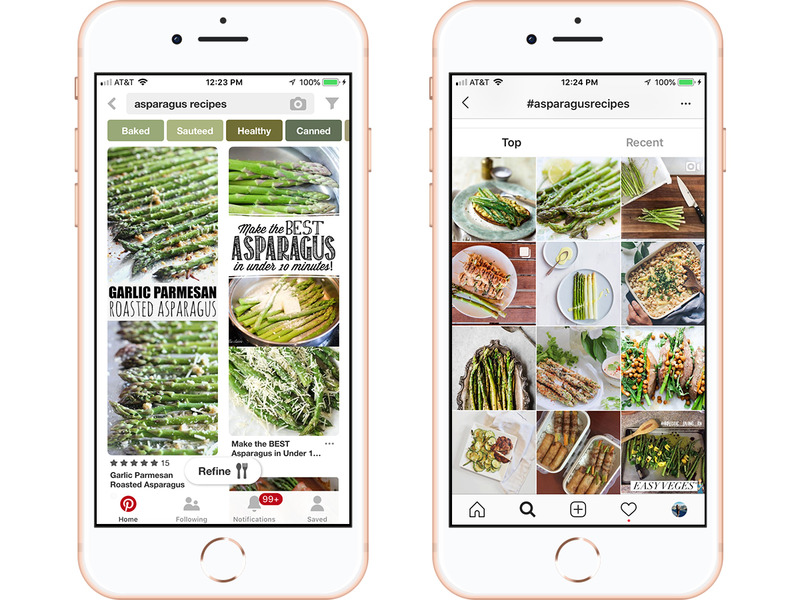 Pinterest/Business Insider; Instagram/Business InsiderOn the left is what you’ll find if you search for ‘asparagus recipes’ in Pinterest. Though Instagram is the better choice on a smartphone, when I search for, say, “asparagus recipes” in Pinterest, the results are so much better, more relevant, and more aesthetically pleasing. If I search for the same thing on Instagram, it shows me the most popular posts, which are good, but after delving into them are not as good as what Pinterest spits out at me. Also, when sifting through the results of a search on Instagram, you have to click into a post if you want to save it. 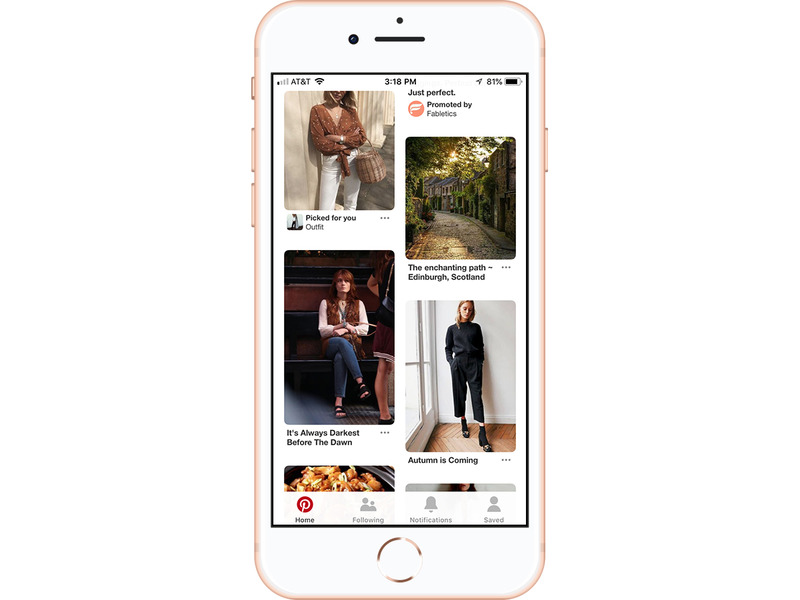 It’s not the most arduous thing in the world, but Pinterest makes it nice and easy to remain on a search page and to save a post to a board without having to navigate away. Instagram also doesn’t allow URLs in posts, so it’s more of a drag to redirect from a food post to the linked website containing the full recipe. Meanwhile in Pinterest, you can immediately click into the recipe from a post if you want. You can also refine your searches heavily in Pinterest, like selecting a 15-min prep time when searching for dinner recipes. And lastly, I’ve noticed the Pinterest algorithm has gotten more and more intuitive, recognising which board I’m wanting to save a post to based on the nature of the post i.e. an outfit, a recipe, a workout. I’m sure Instagram will catch up with that at some point, but for now, my collections seem to only pop up in one order whenever I’m deciding which one to save a post to. Sifting through your saved photo groupings is pleasantly simple on either app. 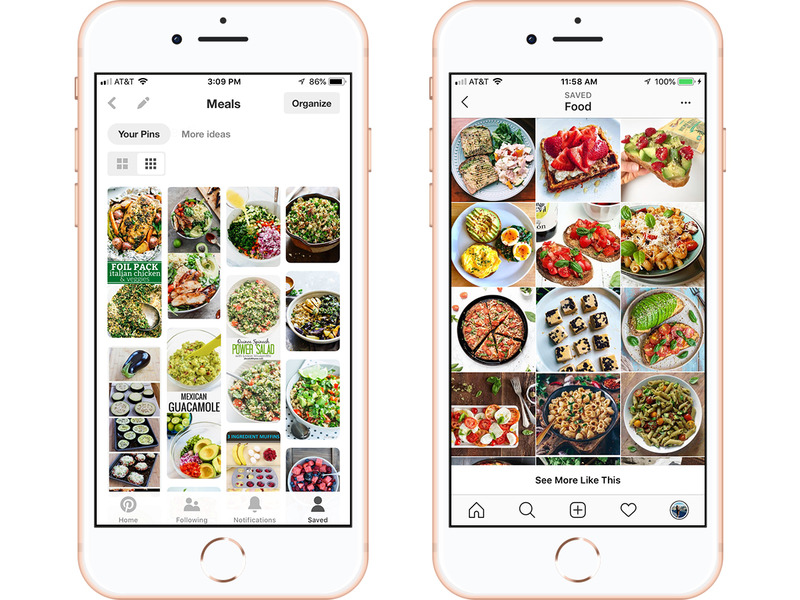 Pinterest/Business Insider; Instagram/Business InsiderLeft: Pins I’ve saved in my ‘Meals’ Pinterest board. Right: Food posts I’ve saved in my ‘Food’ collection on Instagram. One of my favourite things to do in Pinterest, and now in Instagram, is to explore the posts I’ve already saved and organised into a board or collection. For example, looking up a dinner recipe at the grocery store to see which ingredients I need is a breeze, regardless of whether I’m referencing a recipe on Pinterest of Instagram. The two apps are most on par with each other through that characteristic. However, Pinterest currently does have an edge with its ability to create essentially a board within a board, meaning within my “Meals” board, I can create Dinner, Snacks and Breakfast sections. It’s worth noting that there is an option for you to minimise posts that are in your boards so that when you’re looking back through them, the boards have a four-column display, as seen above. That option doesn’t exist for when you’re scrolling through your homepage or through search results though: two columns is all you get. Overall, if I had to choose a favourite, it’d be Pinterest. But Instagram Collections is equally useful. 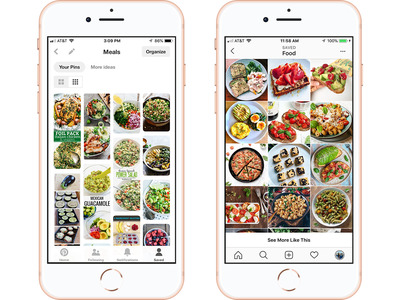 Pinterest/Business Insider; Instagram/Business InsiderMy photo groupings on my Pinterest app (left) and on Instagram. It’s sometimes irritating to get on the Pinterest app and to only have a two-column display on my homepage. But I enjoy how content on the site is curated more so than how Instagram’s is, and spending time on Pinterest always seems more fun and more of an activity rather than simply wasting away on Instagram. However, being able to save an Instagram post for future reference instead of screenshooting it, and it getting lost in the chaos that is my Camera Roll, is an invaluable feature. So I’ll keep using both, but for different reasons: Instagram Collections to organise the posts I come across when I’m already in the app and Pinterest for actively searching for content.